Four more characters revealed for 3DS simulation RPG. 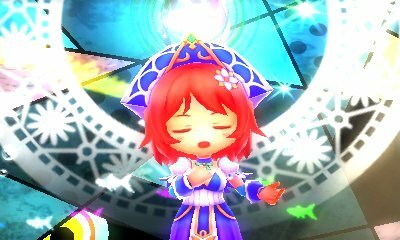 Imageepoch first announced Stella Glow for an “early winter 2015” on 3DS in Japan back in October, but until the game’s June 6 release date announcement yesterday, there haven’t been any follow-up reports. Speaking with Famitsu this week, Stella Glow producer Hideyuki Mizutani clarified a bit about the game’s delay. When the game was announced in October, development was nearly complete, and by the end of November, development had been finalized. But a few sales-related problems—not game development issues—had surfaced, which delayed the game from its planned winter release. This resulted in Imageepoch consulting with Sega, a company it worked with in the past on the 7th Dragon 2020 series, which picked up the game for publishing.